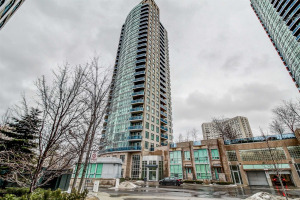 2 Storey Luxury Loft In Prime Location! This Is The Perfect Unit. 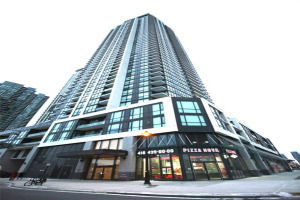 2 Bedrooms, 3 Washrooms, 2 Parking Spots (Side By Side), 2 Balconies, Locker, 9Ft Ceilings On 1st And 2nd Floors, Open Concept Kitchen, And Floor To Ceiling Windows In The Bedrooms. Walking Distance To Square One Shopping, Dining, Library, And Transit. Waiting For Your Personal Touches To Call Home. Fridge, S/S Stove, Dishwasher, Microwave/Range Hood, Clothes Washer, Clothes Dryer, All Electrical Light Fixtures, All Window Coverings. 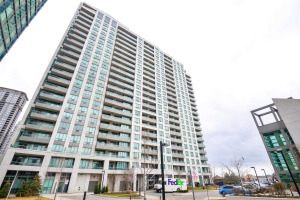 Tenants Willing To Stay At Current Market Rate! * Monthly payment amount is based on a 20% downpayment, 3.25% mortgage annual interest rate, and the amortization period of 30 years. Please note that this calculation is for demonstration purposes only. We do not guarantee that all calculations are accurate. Always consult a professional financial advisor before making personal financial decisions. Please contact us for more details.